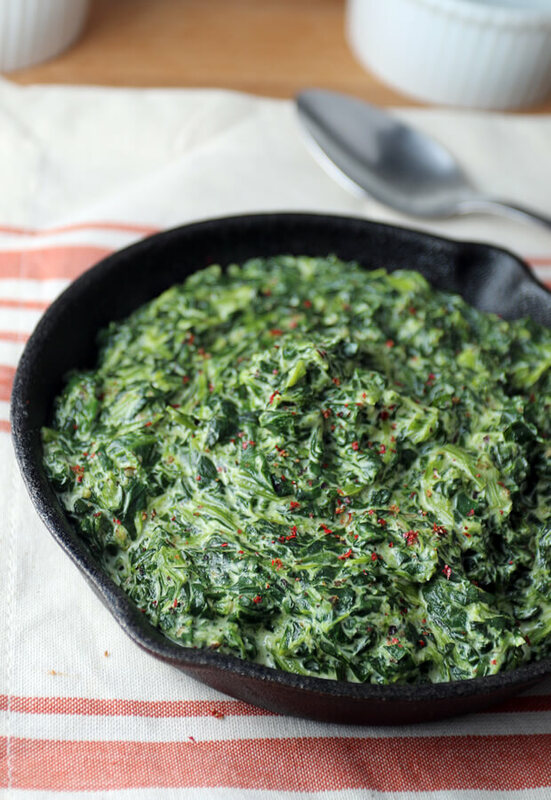 I love having frozen spinach on hand for those nights where I want a quick, easy, and tasty side dish to go with what I’m making. 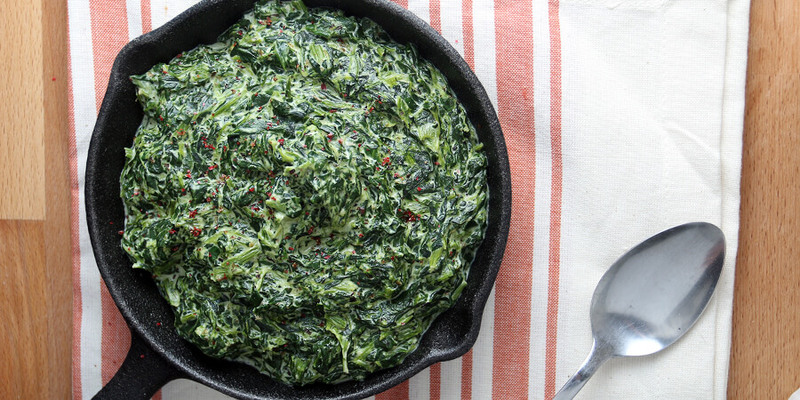 Since I’ve been trying to focus on mainly easy recipes, I thought creamed spinach was a perfect addition to that list. It’s rich, it’s savory, and it has a delicious thick and creamy texture. 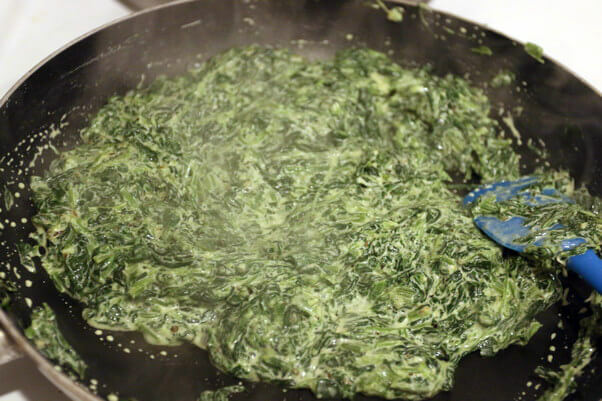 As a kid, I never really liked the stuff – I mean, who liked spinach back then anyway? 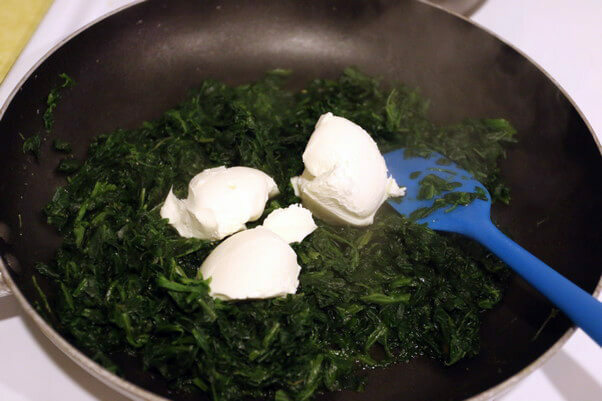 I thought it was disgusting when my parents made it for themselves, but over time I really grew to enjoy the leafy green. In fact, I eat it almost every day – from salads, to stuffing, to side dishes like this. So, grab a fork, and dig in! 1. 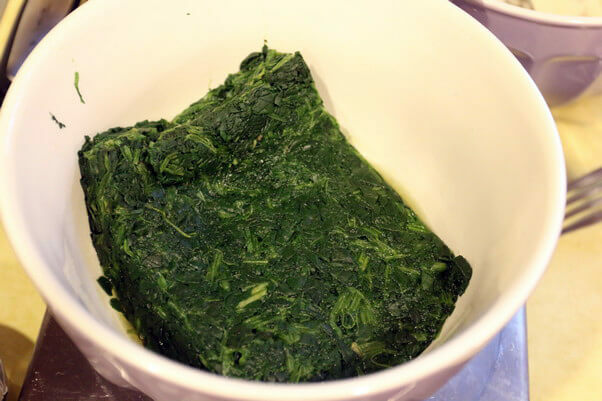 Defrost frozen spinach in the microwave until warmed through, usually about 6-7 minutes. 2. Heat a pan on the stove to medium-high heat. 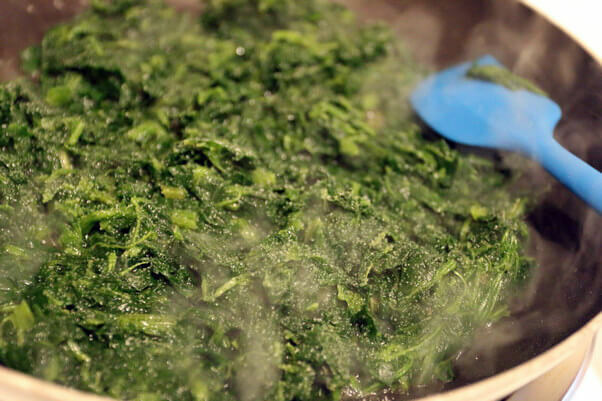 Once the pan is hot, add the spinach and let some of the water boil off. Season the spinach here and mix together. 3. Add cream cheese and stir together until cream cheese is melted. 4. Add sour cream and mix together. Turn the pan down to low heat at this point. 5. Finally, add parmesan cheese and stir until the creamed spinach thickens. 6. Serve up! It goes great with just about anything! 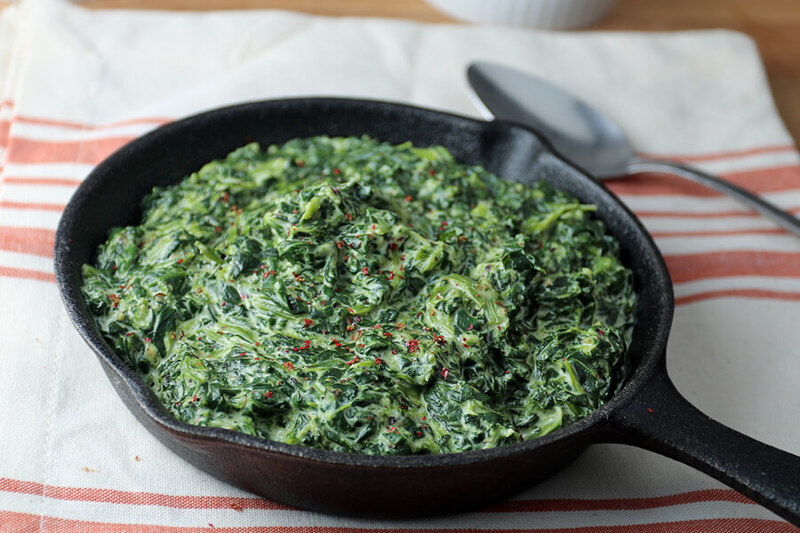 This makes a total of 3 servings of Easy Keto Creamed Spinach. Each serving comes out to be 165 Calories, 13.22g Fats, 3.63g Net Carbs, and 7.33g Protein. Defrost frozen spinach in the microwave. Add to pan on medium-high heat and let excess water boil off. Add seasoning and cream cheese to the pan. Stir together until cream cheese has melted. 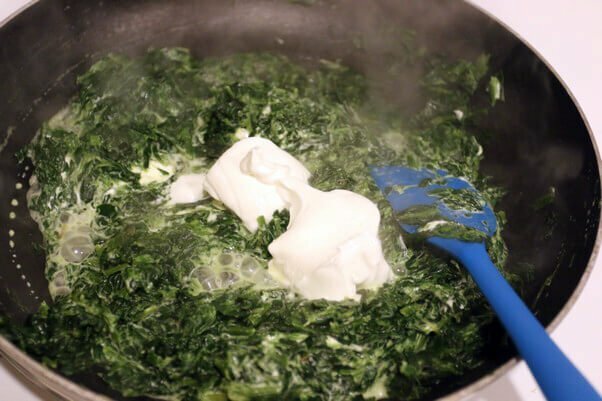 Add sour cream and parmesan and mix together well until the creamed spinach is thickened.